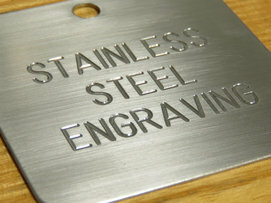 Stainless Steel Engraving - other metals and plastics too! 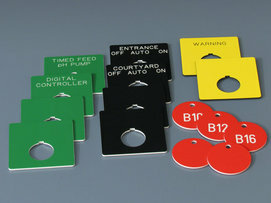 You've been telling us: "I need to engrave metal ID plates and valve tags for harsh environments, and the lettering must withstand ocean spray, high temperatures and strong chemicals.” Well, we can help with that and much more…like creating custom lamp bezels and equipment dials, plus the usual array of plastic OSHA signs and warehouse signs too. 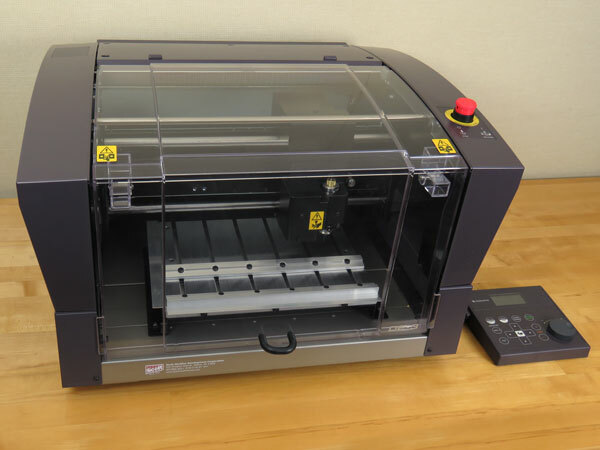 And you’d like the whole metal engraving system, with training, for less than $8,000, you say? Well, let's see what we can do for you today. For the ultimate in clarity when lettering stainless steel, choose one of our basic single-line fonts; use few words and a simple layout. Most grades of stainless steel are too hard for engraving and their surfaces can turn brown over time. 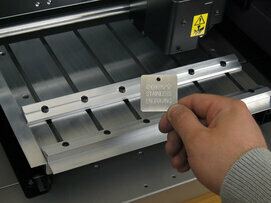 Our tags are made of 0.025"-thick premium stainless steel #316, yielding the cleanest letter groove. For hostile environments having high temperatures and caustic materials, and even less hostile conditions, we always use stainless steel #316. For more about our special cutters, read on at the bottom of the page. Scribing is something like scratching, but at a controlled depth using a non-spinning diamond-tipped tool. 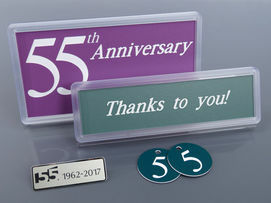 Scribing creates the most detail for marking stainless steel, e.g., a metal award plaque with "line art" images – for approximately $30. Burnishing has no depth; it's merely a surface effect, created by a blunt spinning tool that scuffs the surface to produce a lustrous letter. 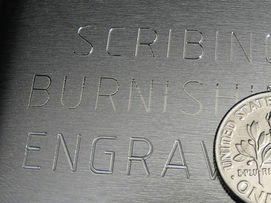 Burnishing is ideal for softer metals, e.g., aluminum serial number plates – for approximately $35. Learn more about cutting patterns and cutter care below. And how’s this for balancing your budget? 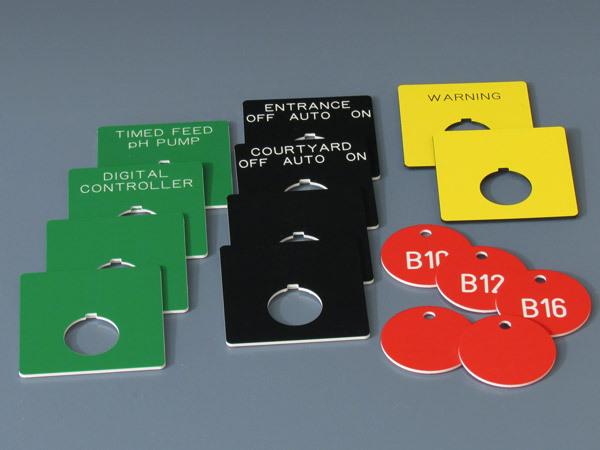 Our custom software helps you lay out tags and signs in minutes. Responsible for signage and identification in a large facility? 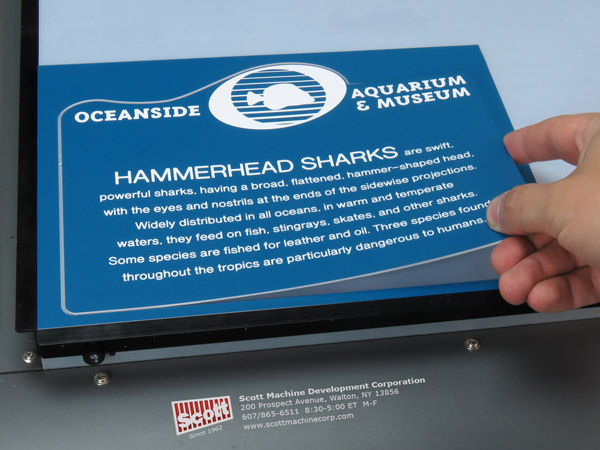 Create your own template library, then enter fresh text – individually or from a data file – into your templates for a consistent signage program. Once layouts are complete, set up the stainless steel engraving machine for optimal spindle rpm, feed rates and two-pass engraving at two different depths for your varied jobs. 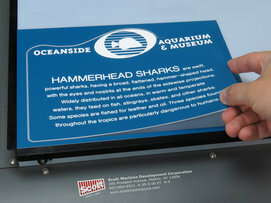 And purchase $500 of engraving plastics to extend free training for another year! 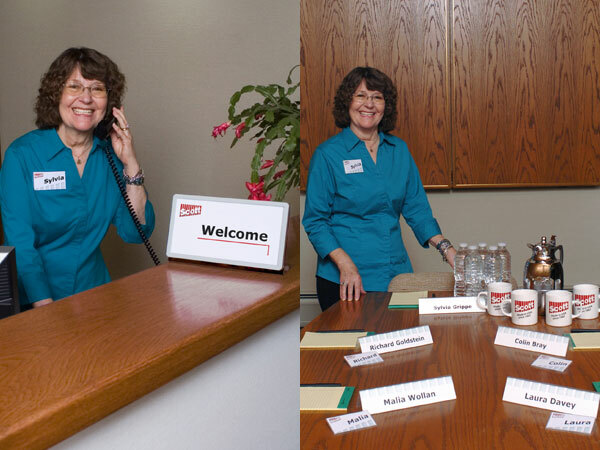 Call us…we’ll answer in person by the fourth ring. Then tell us about your signage and I.D. program, especially the number of items you plan to make each month. Generally, monthly volume determines the correct stainless steel rotary engraving machine for you. Whether your volume is a handful, or thousands, you can also ask for a quote for finished parts. Seek samples…it's much easier to be confident of your purchase when you can hang actual samples on a valve or attach one to a machine. 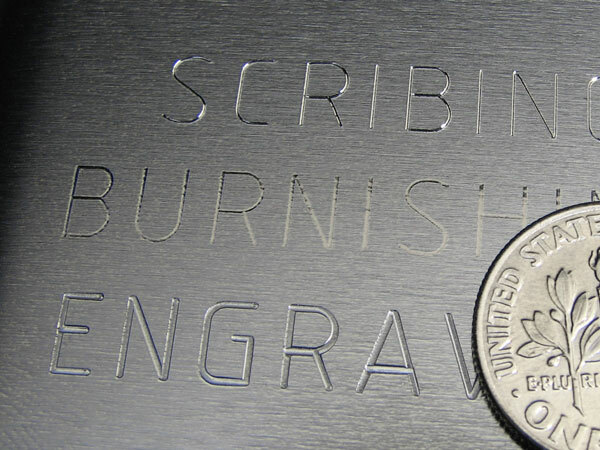 If your materials are unique, send us a sample, which we will gladly engrave and return to you. Mulling over machines or building a budget, ask for our help, at 607-865-6511, 8:30am-5:00pm ET, weekdays. Detailed specs appear at the bottom of this page. 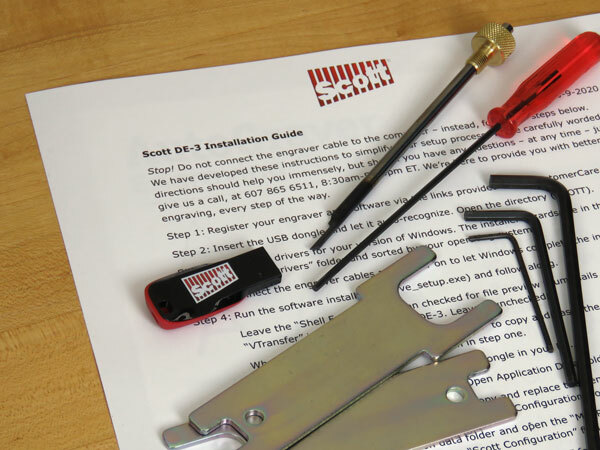 Engraving metal is simple when you secure unusual objects up to 12” x 9” with these multi-function clips and t-head screws from Scott Machine, known for our American manufacturing prowess. Requests that we receive by 3pm ET on business days are fulfilled the same day. Here's an idea to free up your non-stainless steel operations. Adhesive-free, vacuum-free and clamp-free, these 1/8"-thick mats are tacky on both sides. Place one on the bed of your engraver, press the engraving sign blank on top, then profile cut for perfect results. No residue left behind, easy cleaning with water and a lint-free cloth. When you're making an investment in engraving equipment, staff training and materials, work directly with a manufacturer who will protect that investment. 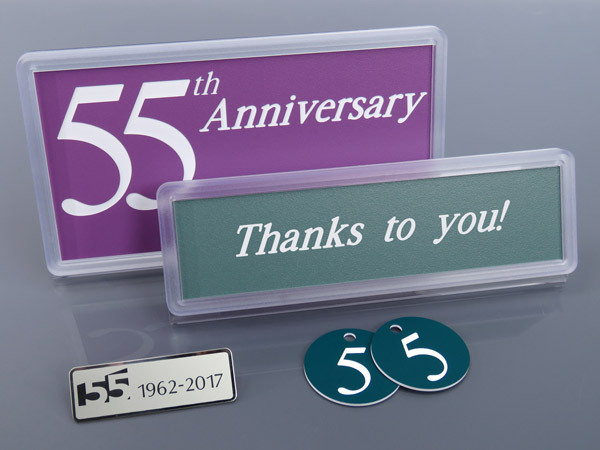 For over 55 years, Scott Machine has done it gladly, providing consistent colors of plastics, replacement cutters, spare parts and technical knowledge that keep you on the cutting edge of metal engraving and all kinds of quality sign making. And we still answer in person by the 4th ring: 607-865-6511, 8:30am-5:00pm ET, weekdays. 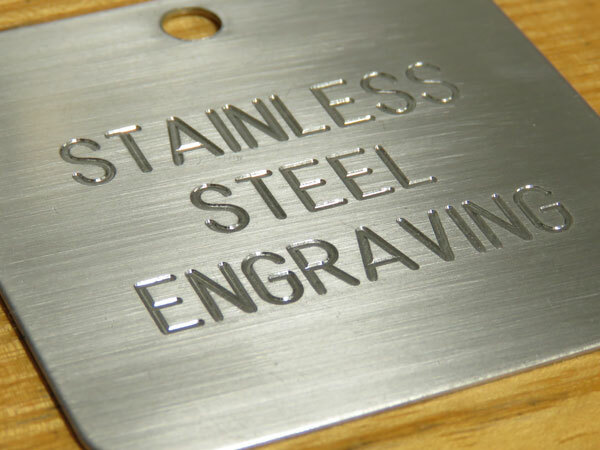 Knowing how to engrave stainless steel most efficiently begins with finding the right items for the right price. Call for frequent promotional offers and prices for many more options. Our basic single-line fonts are a good choice because simplicity is important for maximum legibility. 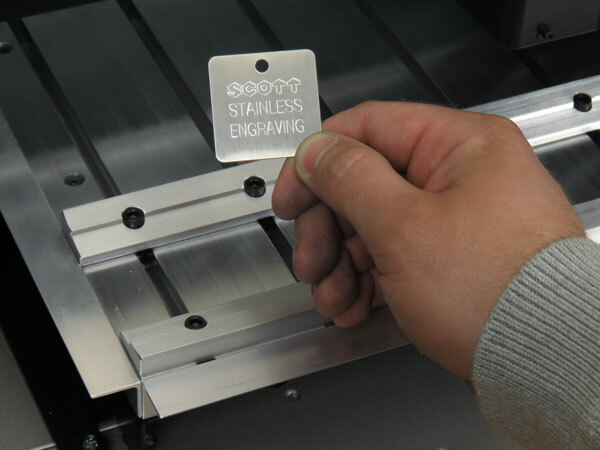 Unlike many stainless steel objects that prove difficult to engrave, our tags are made of the most easily engraved steel, which results in a sharp, clean groove. Keep in mind that, in a single pass of engraving, the groove is about 0.004" deep and 0.015" wide. For best results engraving stainless, use a carbide cutter with a tough coating, spinning at a high rpm. Apply a few drops of Scott Kool cutting oil to the metal’s surface to lubricate the cutter, and use our special cutters. Always keep extra cutters on hand, and change them as soon as the edge of the letter is no longer smooth and bright.